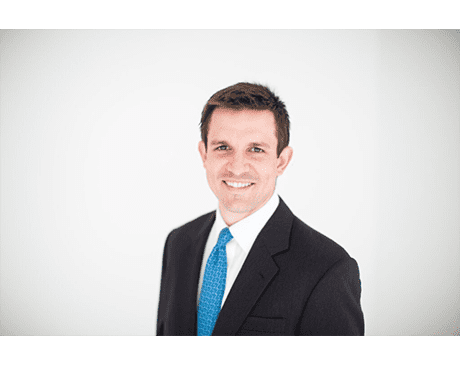 Brett Raynor, MD, is an orthopaedic sports medicine surgeon and an orthopaedic surgeon specializing in the knee, hip, and shoulder at Texas Orthopaedic Associates, LLP. Dr. Raynor’s commitment to his patients, exceptional level of care, and innovative techniques have made him respected throughout the field and highly sought after as both a practitioner and an instructor. Dr. Raynor earned his undergraduate degree from Duke University in Durham, North Carolina, before studying medicine at the University of Texas Southwestern Medical School in Dallas, where he was elected to the medical national honor society, Alpha Omega Alpha. After medical school, Dr. Raynor completed a residency in orthopedic surgery at Vanderbilt University Medical Center in Nashville, Tennessee, and a fellowship in orthopedic sports medicine at the world-renowned Steadman Philippon Research Institute in Vail, Colorado. Dr. Raynor’s expertise in treating complex ligament injuries in the knee and in performing arthroscopic surgeries has made him a valuable member of several teams beyond Texas Orthopaedic Associates, LLP. Dr. Raynor is a team physician for the US Ski and Snowboard team, among several other sports teams, and works as an instructor and a reviewer for the American Journal of Sports Medicine. He has written several papers on his research into orthopedics and sports medicine and presented his findings across the country. Dr. Raynor is currently seeing new patients at the Greenville Avenue location in Dallas, where his favorite part of his job is helping his patients regain mobility and function after an injury so they can get back to the activities they love.